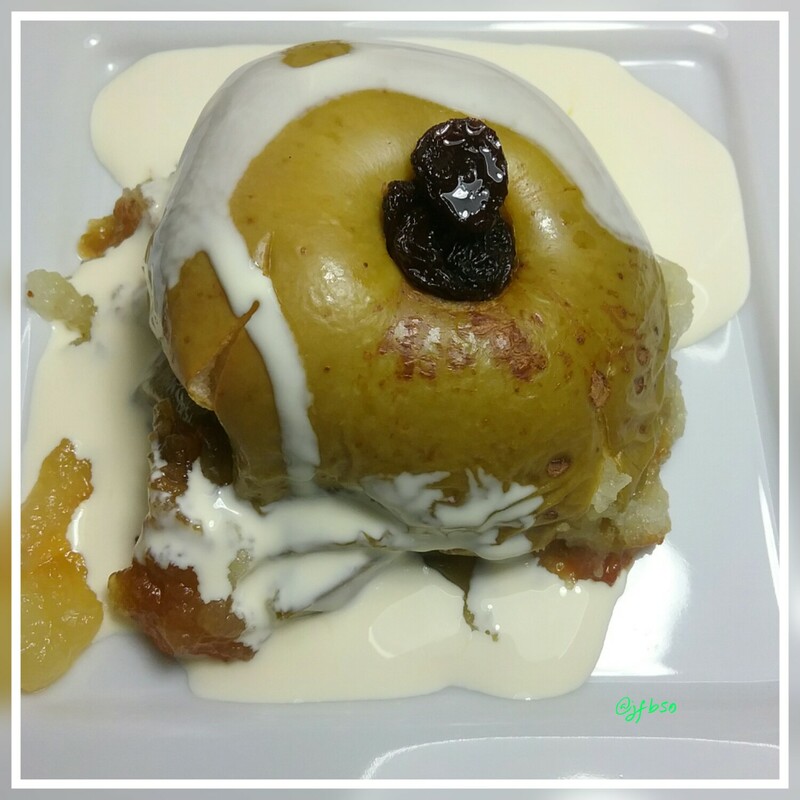 Baked apple stuffed with raisins and honey | Jo's food bites. A deliciously simple desert that reminds me of autumnal suppers as a child. Take a large cooking apple and remove its core. Place on a oven proof dish. Stuff dried fruit of your choice into the hole and place a heaped teaspoon of set honey on top. Bake in the centre of the oven- gas mark 5 / 180 C until the apple is soft. I served this with a generous pouring of cream. If you wish to play around with the flavours and make it a grown up pudding – a drizzle of a liqueur on the dried fruit before cooking is a tasty addition. Personally I like the simplicity of the flavours as it is.